Make every visit a little sweeter and a lot more rewarding with our Real Rewards program. 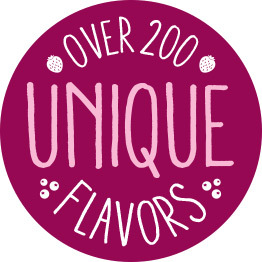 Earn points for every ounce of your custom yogurt creation. What do you get for signing up for Real Rewards? 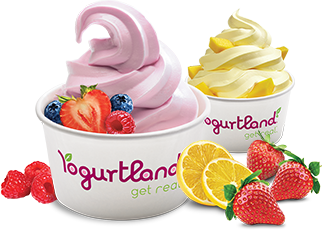 More of the delicious froyo you love for free! Earn 2 points for every dollar you spend. The more treats you enjoy, the more points you earn. Register today to start earning delicious rewards, like free treats. Forgot your card or missed some points? 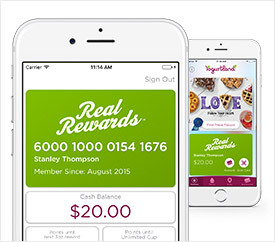 Start enjoying the sweet rewards and convenience associated with your Real Rewards™ card. No card? No problem. Register now to start an account and pick up your card on your next visit. Or download the mobile app to create your account and access your virtual card. 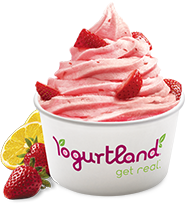 At participating Yogurtland locations. Please see Real Rewards terms for complete details.